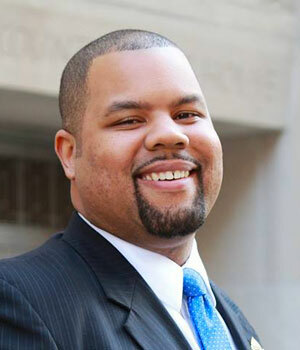 Noel Nix is a community development professional who has dedicated his career to advancing economic and social equity. He currently serves as the Deputy Director of Government Relations and Community Engagement for Saint Paul Mayor Melvin Carter. Previously, he served as Principal Assistant to Ramsey County Commissioner Toni Carter and as Legislative Aide to several members of the Saint Paul City Council. He has also worked in outreach roles for both the Metropolitan Council and the Metropolitan Consortium of Community Developers (MCCD) and as a residential property manager in Saint Paul. Noel serves on the boards of Springboard for the Arts, the Minnesota Homeownership Center, and on advisory committees for the Victoria Theater Arts Initiative and the Rondo Commemorative Plaza and Garden, both in Saint Paul. He is also one of the leaders of the Historic Rondo District Initiative, an arts and cultural based economic development project. In addition, he serves on the advisory committee for the Community Development program at Minneapolis Community and Technical College. He holds a bachelor’s degree in Business and a master’s in Urban and Regional Planning, both from the University of Minnesota. He is an alum of both the James P. Shannon Leadership Institute and the Josie R. Johnson Leadership Academy.